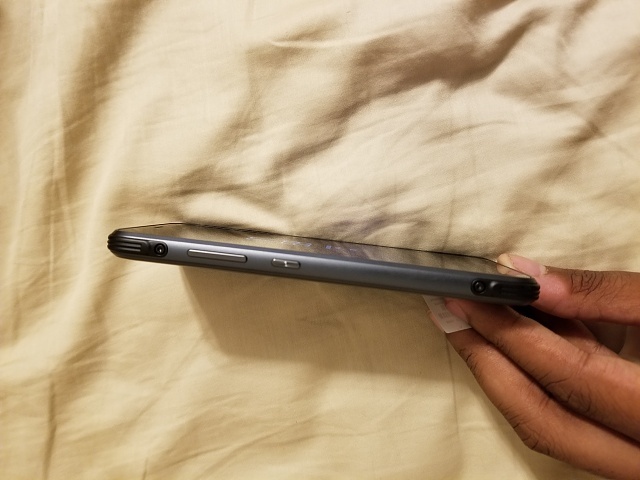 The Samsung Active series has always been considered as more of a glorified update to its regular and relatively delicate variants which tend to get cracked at the smallest hint of a drop. This year’s Samsung Galaxy S8 Active is no different than the rest. The device, which was leaked a few hours ago via an AMA on Reddit, has the same Polycarbonate back and a plastic screen which we see in the Active variants. This build choice may actually have an advantage over the Galaxy S8 and Galaxy S8+, both of which contain a glass back a good combination. 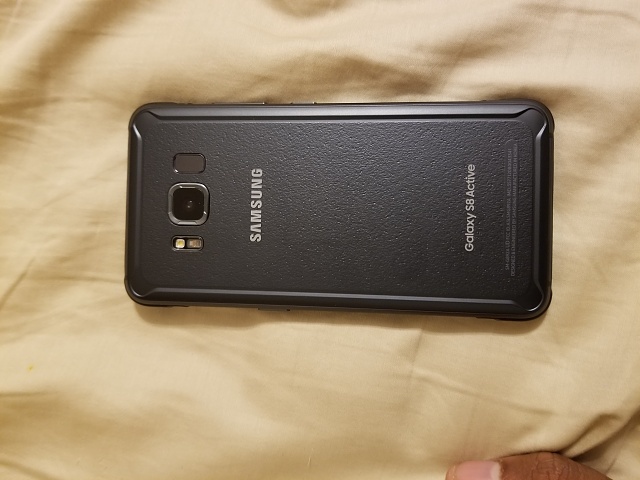 The Galaxy S8 Active is a rugged device in every way, targeted at outdoor loving and adventurous users or the ones with butter fingers who want the latest Sammy has to offer and yet are prone to dropping and demolishing their devices the first chance they get. Talking about the latest, the Galaxy S8 Active bears the model no. SM-G892A and comes with Android 7.0 Nougat out of the box which may be a disappointment for some but since the device is not out for distribution yet, chances are that an update is in order. The Galaxy S8 Active has a similar screen size to the Galaxy S8 albeit with a wider and thicker build thanks to the bumper protection on the edges of the device and a massive 4000 mAh battery powering it. The device seems to support a Single-SIM with SIM card slot on one side of the tray and, micro-SD card slot on the other. The leaked device seemed to have a locked SIM hinting that it may very well be a carrier locked device similar to the Galaxy S7 Active. The Galaxy S8 Active also makes a few obvious changes, ditching the dedicated Active button in favor of Bixby button which, you guessed it, is non-customizable. A video was also previously posted on YouTube which has since been taken down. You can, however, view the screenshots of the video here. Next Entry How to update T-Mobile LG V10 to Android 7.0 Nougat H90130b firmware and root?